On a weekend that is a bit light in terms of graded stakes action, one of the most intriguing races is the $250,000 Mother Goose Stakes (gr. II) at Belmont Park. Although the field size isn't huge, I think there's potential for an upset winner. Let's take a look at the entries! A field of seven will contest this 8.5-furlong race for three-year-old fillies at Belmont Park, with the two favorites being Lockdown and Vexatious, who finished third and fourth in the Kentucky Oaks. However, I'm tempted to lean against both for a couple of reasons. First off, the pace of the Kentucky Oaks strongly favored closers--thanks to an opening half-mile in :46.24 and a final three furlongs in :40.20, the race was dominated by fillies that rallied from the back of the pack. In fact, the 1-2-3-4-5 finishers were racing 14-11-8-9-13 after the first quarter-mile. Secondly, Churchill Downs seemed to have a strong rail bias on Kentucky Oaks day, and both Lockdown and Vexatious--Lockdown especially--spent a good portion of the race running on or near the rail. While they both warrant respect (particularly since they've shown versatility and don't necessarily have to rally from far behind), their speed figures certainly don't tower over this race, and I think both could be vulnerable at short prices. Instead, I'll focus my attention on Unchained Melody. The daughter of Smart Strike ran well in her first two starts sprinting, including a gate-to-wire maiden win at Gulfstream Park and a runner-up effort in a Keeneland allowance race. But when Unchained Melody stretched out to 8.5 furlongs in an allowance race at Belmont on June 1st, she delivered her best run yet, tracking the pace before pulling away to win by two lengths with an eye-catching 90 Beyer speed figure. The runner-up, the graded stakes-placed filly Jamyson ‘n Ginger, was 7 ¼ lengths clear of the third-place finisher. In a race that doesn't have a ton of pace on paper, Unchained Melody figures to be forwardly placed from post position two, possibly even setting the pace while saving ground. Joel Rosario has the mount for trainer Brian Lynch, who is winning at a 25% rate at the current Belmont meet. I think Unchained Melody is sitting on another big run at a solid price. Todd Pletcher will send out three fillies in the Mother Goose, and while the unbeaten My Miss Tapit might have the most upside while making her first start beyond seven furlongs, I'm more interested in Moana, who broke her maiden at Keeneland before finishing fifth in the Black-Eyed Susan Stakes (gr. II) at Pimlico. Like the Kentucky Oaks, the Black-Eyed Susan featured a fast pace that fell apart and strongly favored closers; the superfecta was swept by the four horses racing farthest behind early on, including Mother Goose contender Lights of Medina, who finished second. Moana performed clearly the best of the fillies involved in the early pace and did so despite a wide trip--with a better setup in the Mother Goose, I think she'll deliver a significantly improved performance and could be an overlay at 8-1. Rounding out the field is Spanish Harlem, who won an off-the-turf allowance race at Belmont two starts back by 29 lengths (yes, 29!) before finishing sixth in the one-mile Penn Oaks on turf. The return to dirt should yield an improved effort, though Spanish Harlem has disappointed in her two stakes tries thus far and might need to take a step forward to contend. Now it's your turn! Who do you like in the Mother Goose Stakes? It's that time of year again! As Del Mar and Saratoga approach, the two-year-old racing is starting to heat up across the country, and we've already seen some impressive performances from the latest crop of juveniles. Certainly one of the most eye-catching efforts was turned in by Serengeti, who broke his maiden on June 25th at Santa Anita (VIDEO). Trained by Bob Baffert, the son of Algorithms had finished second in his debut two weeks earlier, but with that experience under his belt, he absolutely dominated in his second start. With Mike Smith in the saddle (just how many good horses does Mike Smith ride these days? ), Serengeti went straight to the early lead, carved out fractions of :21.77 and :45.26, and won the five-furlong race by 11 lengths in the time of :57.98, good for a Beyer of 74. Needless to say, Serengeti looks like a future graded stakes winner, and I'm looking forward to seeing where he runs next! On a different note, it's going to be enjoyable watching the progeny of this year's first-crop sires head to Del Mar, Saratoga, and even Ellis Park this summer. 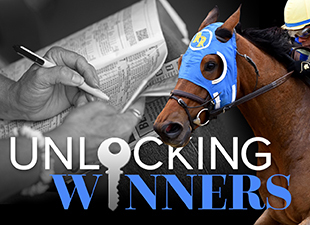 Who will wind up as the leading first-crop sire of 2017? According to the current Blood-Horse first-crop sire list, 2013 Arkansas Derby (gr. I) winner Overanalyze has the early advantage, but there's plenty of racing still to come. I'm particularly excited to see the first foals by 2013 Kentucky Derby winner Orb, who has already sired one winner this year, and the first foals by two-time Jockey Club Gold Cup (gr. I) winner Flat Out, who has already sired a pair of winners, including Pacific Gale at Belmont Park earlier today. Are there any first-crop sires that you're excited about this year?